A small Jewish community in India. It may well be that the Cochin Jews have lived for two millennia on the fertile Malabar Coast of southwest India. This tropical area is now the modern Indian state of Kerala, named for the kera, or coconut palm tree, that is so basic to its landscape and economy. Though tradition has it that there were once many thousands of Jews in Malabar, no more than 2,500 were recorded in recent centuries, and only about 60 remain there today. Varied traditions about the origin of the Cochin Jews appear in travelers’ accounts and in Hebrew chronicles from Malabar, some written as early as the 17th century. Some records say the first Jews sailed to South India on the ships of King Solomon; others say they came during the Babylonian exile; others that they fled to Malabar after the destruction of the Second Temple; and others refer to a fourth-century migration from Majorca. Most of these stories revolve around the existence of a Jewish community in the ancient trade center of Cranganore (which the Jews called Shingly), north of Cochin. One chronicle tells how a group of Jews descended from the Assyrian exile made their way to Calicut (further up the coast) by way of Yemen, and a Malayalam Jewish song suggests that the Jews of the ancient town of Palur may have come from Yemen. The oldest documentary evidence of a Jewish community in Kerala dates from 1000 CE, when a Jewish leader named Joseph Rabban received a set of engraved copper plates from the Hindu ruler of Cranganore. These plates, which are still preserved in the Cochin Paradesi synagogue, list economic and ceremonial privileges including exemption from paying taxes, the right to collect tolls, and the honor of using particular lamps, umbrellas, drums, and trumpets associated with high ritual status. It is clear that by this time the Jews were firmly established in the area. Jewish merchants known as Radanites began traveling by sea and land between the Mediterranean and China in the ninth century, stopping at ports along the Malabar coast. Commercial documents from the Cairo Genizah give glimpses of Jewish trade with India in the centuries that followed. Before the Portuguese conquest in the 16th century, there were Jewish communities in a number of coastal towns, as well as in Cranganore. In 1341 a flood shifted the coastline, silting up Cranganore and opening a new harbor in Cochin, and the Jews began to leave their ancient home in Shingly. Beginning in the early 16th century there was a new migration of Jews to Kerala. Some of the newcomers were Sephardic Jews, direct and indirect refugees from the Spanish and Portuguese expulsions, who came to India by way of Aleppo, Constantinople, and the Land of Israel. Others were from Iraq, Persia, Yemen, and Germany. In 1568 the Jewish newcomers, who were subsequently called Paradesis (“foreigners” in Malayalam), built a synagogue of their own next to the Maharaja’s palace in Cochin. They adopted the Malayalam language and identified enthusiastically with Kerala customs and traditions, but at some point they stopped marrying the Jews who had been there many centuries before them. In written accounts (especially by Western visitors) the Paradesis often were referred to as “white Jews” and the more ancient Malabari communities as “black Jews,” though there is not always a clear distinction between them in terms of skin color. By the 18th century there were eight synagogues in five different Kerala towns and villages. As all but Parur were located within the kingdom of Cochin, the term “Cochin Jews” was eventually applied to all Kerala Jews. Written sources indicate that the Kerala Jews observed mainstream religious law (halakhah) and had religious leaders they called hakhamim or rabbanim, though there is no record of anyone in Cochin undergoing traditional ordination or writing a responsum. Day-to-day halakhic decisions were made by these learned men. Occasionally they consulted with visiting scholars or even wrote for advice to rabbis in Jerusalem or Cairo. Although Cochin Jewish internal social relationships were undoubtedly influenced by the caste system and Hindu social values, it should be emphasized that the Cochin Jews were not themselves divided into separate castes, and that all of them shared in a common culture. There is ample evidence of social contacts among all the Jewish communities of Kerala–including business relationships, invitations to each other’s lifecycle rituals, men studying Jewish texts together, women lending jewelry and exchanging songs, and the sharing of ordinary and ritual meals. As with Jews elsewhere, friendships between members of different communities were most common among people of the same class, education, and occupational standing. Portuguese colonial rule (1498-1663) brought suffering to all the minority communities of South India. The economic power of Muslims declined when the Portuguese ended their monopoly of trade between Malabar and the West. Syrian Christians were persecuted and killed by the Inquisition, which forced Roman Catholicism on many Kerala Christians. The Cochin Maharaja protected Jews under his rule, but the Inquisition brought terror to Conversos (“New Christians”) who fled to India in order to reclaim their Jewish identity. In 1663 the Dutch defeated the Portuguese, who set fire to the Paradesi synagogue and a number of Jewish houses just before they left Malabar. Under Dutch rule (1663-1795) the status of the Jews of Malabar improved, as the Dutch looked favorably on the cosmopolitan Paradesi community. A few Paradesis, notably members of the Rahaby family, rose to high positions as agents in foreign trade and as economic and political advisors to both the Dutch and Hindu rulers. There were relatively wealthy landowners in a number of Jewish communities. In the period of British colonial rule (1792-1947), the Cochin Maharaja retained a semi-independent status. However, in Kerala State there was general economic stagnation as the British developed new commercial centers to the north and east. Some Jews in Kerala held positions as clerks, teachers, and lawyers in the expanding colonial bureaucracy; others continued as small merchants, dealing especially in fish and poultry. Economic difficulties led a number of Cochin Jews to move to Bombay and (less frequently) Calcutta. They nevertheless retained their Kerala identity, even while living elsewhere in India. Most of them married only Cochin Jews (though some Paradis is married Baghdadis); and when they moved to Israel they tended to settle among their relatives from Kerala. Individual motives for aliyah varied. Some were seeking to escape difficult economic conditions, while others emphasized the desire to live a more religious life, or to be involved in building the new Jewish state. None were forced to leave. Cochin aliyah began in the early 1950s, with the greatest number of immigrants arriving in 1954. Many were settled on moshavim (cooperative agricultural settlements), of which five are still predominantly “Cochini” in population: Nevatim in the Negev; Mesillat Zion, Ta’oz, and Aviezer in the Jerusalem Corridor; and Kfar Yuval on the northern border with Lebanon. 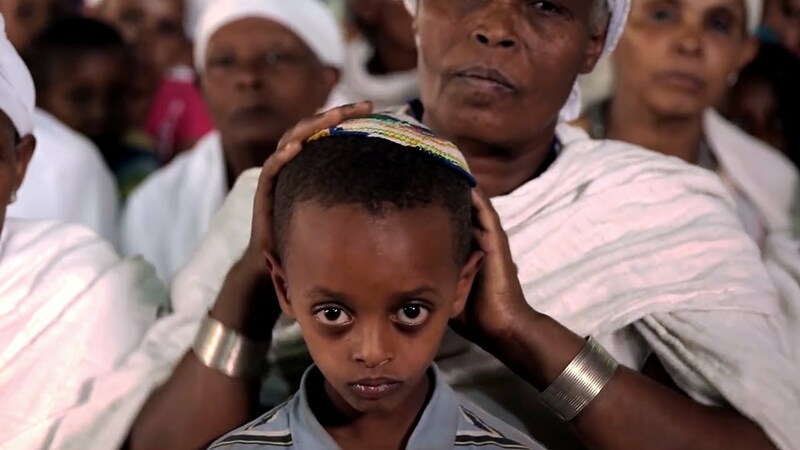 By 1982 about 75% of the 2,300 Cochini moshav members lived in these five places. Initially the adjustment to agricultural life–which they had not experienced in India–was difficult for some of them. In time, however, they prospered, expanded their homes, and built substantial synagogues and community buildings. Nevatim constructed its synagogue in the traditional Kerala style, incorporating the Torah ark and other furnishings brought from the Tekkumbagam synagogue in Ernakulam. Most of the Cochin Paradesi Jews remained in India longer. In 1968 they celebrated the 400th anniversary of the building of their synagogue with a week-long series of cultural events. The festivities included performances of Kerala music, scholarly seminars, and a visit from Prime Minister Indira Gandhi. Most members of this community made aliyah during the 1970s and 1980s. Now scattered throughout Israel, they number about 200 and often meet for ritual occasions in Binyamina and other places where there are Paradesi households. Though exact figures are not available, it can be estimated that there are well over 4,000 “Cochinim” in Israel today, with at least as many living in urban areas as in moshavim. Cochini neighborhoods are found in Rishon LeZion, Ashdod, Beersheba, Jerusalem, and in Rekhasim and Kiryat Bialik in the Haifa area. In some of these communities there are synagogues in which the traditional Cochin liturgy is still followed. City-dwellers often visit their moshav relatives, with a special emphasis on getting together for Simchat Torah and other holidays. In 1984, Moshav Nevatim hosted a grand celebration of the 30th anniversary of the Cochin aliyah, which was attended by Kerala Jews and other guests from all over the country. Reprinted with permission from The Israel Museum, Jerusalem.